This presentation examines the U.S. Two Cent piece. Born during war this short series of bronze coinage initially met with public approval but soon was overcome by the popularity of the bronze Indian Head Cent coinage. A short lived series, the two cent piece offers collectors a bit of everything, from circulation strikes to proof strikes and high to low mintage and a wide array of re-punched date varieties. Attendees will have the opportunity to examine in-hand mint state grade examples of the Large Motto vs Small Motto coins as well as the 1873 Closed and Open 3 varieties. Bill Anderson has been collecting copper coinage for over 50 years. The coins displayed during this talk received MSNS Best of Show in an exhibit at the Fall 2012 MSNS Conference. As a Director of MSNS he is involved in the work of several committees and is the President of the Jackson Area Coin Club. A member of several numismatic organizations such as American Numismatic Association (ANA), Central States Numismatic Society (CSNS), Early American Coppers (EAC), Civil War Token Society (CWTS), Michigan Token and Medal Society (MichTAMS), and the Jackson Area Coin Club (JACC). Instructor Steve Roach (pictured): former editor-in-chief and current editor-at-large of Coin World, former grader at ANACS and Heritage Auctions, co-instructor at ANA Summer Seminar. Instructor Tony Cass: dealer, former grader at ANACS. We will discuss briefly several important things that happened to Lincoln between the time he spent in the Legislature and his assassination. For example, we will consider Lincoln’s first presidential campaign, including his political platform and the campaign tokens and trinkets that the campaign spawned. We will look at the Gettysburg Address and examine several metallic commemorations of same. We will consider the gold medal that was given to Mary Lincoln by French school children after Abraham Lincoln’s assassination. And we’ll share some insights into America’s most popular coin! Personally, I have been seriously involved in exonumia as a dealer for more than 40 years. I have been a collector of Michigan tokens for years and have written and produced the definitive catalog on Michigan good for tokens. In the early 1990s I worked with Michigan native James Curto on a revision of his military catalogs. He died in 1993 at age 90 and I finished not one but two references about U.S. military tokens. This year I completed a long-awaited book on Lincoln in Exonumia, a fairly complete listing of Lincoln coins, tokens, medals and plaques. I have been involved in and have held an office in a number of important exonumia organizations, including the Token and Medal Society, Michigan TAMS, American Vecturist Association, and the Civil War Token Society, of which I am presently President. I have published some 20 books for TAMS, The Elongated Collector and others, while publishing the journals for TAMS and CWTS for over 25 years. In a word, I enjoy Exonumia because of the history involved! Leo has been involved in numismatics professionally since 1973. He spent over 25 years at Heritage Auctions in Dallas where he helped build the auction company. Leo rose to Executive Vice President and helped open their Beverly Hills office before leaving to start his own firm. He is now a full time consultant helping collectors and estates maximize their monetary results. He is also consulting with OSV, Original Set Verification Corp. to help preserve double mint sets for future generations of collectors. Leo believes education is the foundation to the hobby. He is a lifetime member of ANA. Attendees will be able to view the rare canvas double mint sets as well as some lovely original sets from 1947-1958. This presentation covers the currency, economy, monetary instruments and significant cultural events that were depicted on the paper money issued by the Confederate States of America. Discussions are presented of the Confederate leaders who shaped the direction of this movement that challenged the Union of the United States which was barely 100 years old. Included are topics that will assist the collector to understand what should be considered in creating a great set that best represents this critical part of history In America. Jeff Paunicka has been active in numismatics for over 50 years specializing in Paper Money. 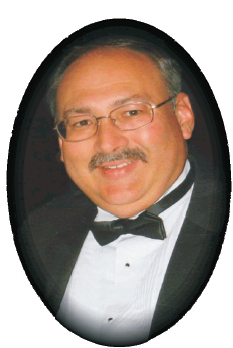 His presentations have been given all around the county and within the next year will be presenting at FUN 2016 Tampa, Central States Numismatic Association in Schaumburg IL and American Numismatic Association in Anaheim California. His current project is authoring a reference and historical guide to the Bahamas Monetary System and currency. He holds an MBA from the University of Notre Dame in South Bend Indiana and a B.S. from John Carroll University in Cleveland Ohio. Summary of Notes Issued By C.S.A.